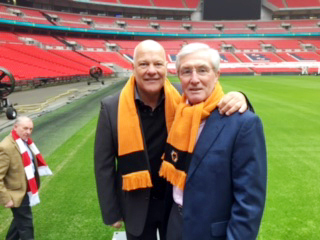 Wembley match-winners….. John Richards with Andy Gray. John Richards fears Wolves’ players will have to steel themselves against more heartache when the FA Cup final comes round next month. The record-breaking striker was a semi-final loser a staggering four times with the club in the competition, once as managing director in 1998, and sympathises now with the squad who he believes are still destined to bring even happier days to Molineux. The difference between the generations is that Nuno’s Wolves at least gave their fans a big Wembley day out before losing dramatically to Watford last weekend. “When we lost to Leeds in 1973, we were worried that we were never going to get to a major domestic cup final,” Richards said. “That particularly applied to someone like Mike Bailey because of his age but the experience was new to us all really. Only Derek Dougan of our squad against Manchester City in 1974 had played in a Wembley final before. “The Cup Final used to be a massive day in the football calendar and, unlike now, the only way to have a trip to Wembley was to win a semi-final. Now, you could have had Tottenham playing a semi and a final on what had become their home ground. “Wolves’ defeat against Watford should not overshadow everything the team and club have achieved. And we all hope the ambition they obviously have around a young and talented side is going to see them competing at the top level over the next few years. Richards was also part of losing Wolves teams in the 1979 semi-final against Arsenal and the 1981 one against Spurs, although he and others had the huge consolation of being League Cup winners twice. He and several long-time team-mates had chance to discuss their ups and downs once more when they were part of a bumper turn-out at last night’s sell-out annual Wolves Former Players Association dinner at Molineux. Mike Bailey, Geoff Palmer, Kenny Hibbitt and Willie Carr were also in attendance, as were Steve Daley, Phil Parkes and Jim McCalliog, the latter of whom was an FA Cup final loser with Sheffield Wednesday in 1966 and a winner with Southampton ten years later. On an evening on which Daley was joined on stage by Karl Henry and Robbie Dennison for midfield-maestro questioning from Sky Sports’ Johnny Phillips, other players on view were Mel Eves, Hugh Atkinson, Bob Coy, Phil Nicholls, Garry Farrell, Steve Bull, Andy Mutch, Kevin Foley, Ted Farmer, Terry Wharton and Alistair Robertson. The room was generously stocked elsewhere with well-known figures, among them Laurie Dalrymple, Richard Skirrow, former Albion and Walsall striker Joe Mayo, ELO’s Bev Bevan and Olympians Hugh Porter and Anita Lonsbrough. Some of those present had also attended the funeral at Telford Crematorium on Tuesday of early 1960s Molineux youngster Graham Newton, who we have featured in detail on here in the past. The turn-out of Wolves personnel included Willie Carr, Phil Parkes, Gerry O’Hara, Phil Nicholls, John Doughty, Gary Matthews, John Gough and Fred Kemp. 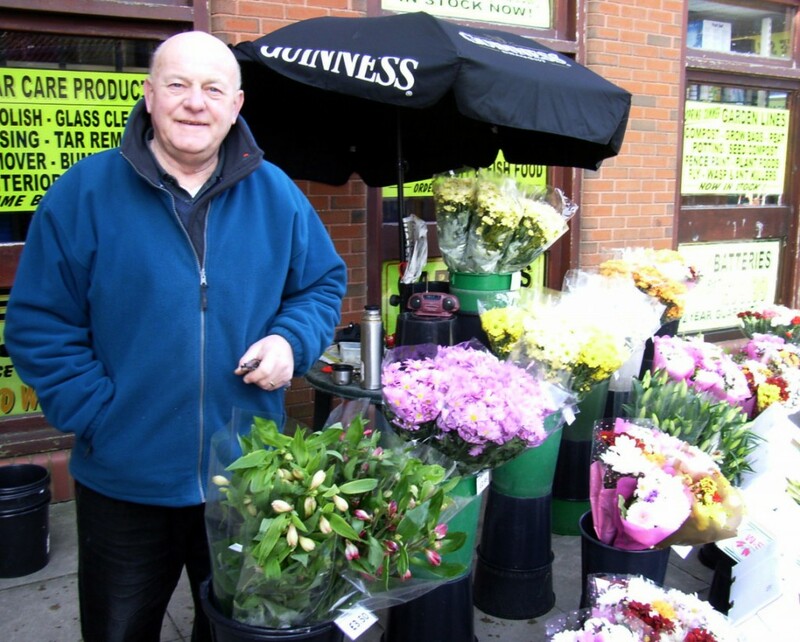 Graham Newton – a man known and loved well beyond football..
Once more, we at Wolves Heroes send our deepest condolences to Graham’s family and many friends. Posted on: Thursday, April 11th, 2019.